** This list has been compiled from number of different resource materials and books and also from personal experience. Reference materials are noted on the Acknowledgements page. Balance (body) – Chrysoprase, Hematite, Garnet, Apatite, Apopyllite (Green), Aqua Aura, Epidote, Fluorite/Pyrite combination. Blood Circulation – Tiger Iron, Staurolite, Silver, Pyrite, Orange Aventurine, Garnet, Hematite, Amethyst, Clear Quartz, Azurite, Carnelian, Boji Stone, Bloodstone, Coral (all colours), Epidote, Zoisite, green obsidian, Rhodocrosite, Thunder Egg. Blood Cleanser – Jade, Orange Aventurin, Garnet, Hematite,, Amethyst, Clear Quartz, Azurite, Carnelian, Boji Stone, Bloodstone, Actinolite, Rainbow Amethyst, Marcasite and Ruby. Blood Problems – Tiger Iron, Staurolite , sliver, pyrite, jade, garnet, clear quartz, Carnelian, Boji Stone, Bloodstone, Azurite, Aqua Aura, Charoite, Danburite, Rainbow Hematite, Marcasite, Spurrite, Wulfenite. Brain – Turquesite, Blue Tourmaline, Staurolite, Rutilated Quartz, Selenite, Amethyst, Prehnite, Howlite, Pyrite, Platinum, Clear Quartz, Aurora, Angelite, Beryl, Apophyllite (clear and Green), Aragonite, Black Quartz, Charoite, Coral (all colours) Diamond, Elestial Crystals, Epidote, Lavender Fluorite, Larimar, Marcasite, Zoisite. Concentration – Carnelian, Jade, Sodalite, Gehlenite, Sugilite. Creative Expression – Soldalite, Amazonite, Morion, Angelite, Chrysocolla, Celestite, Blue Lace Agate, Kyanite, Blue Quartz, Aquamarine, Larimar, Thunder Egg. Depression – Smoky Quartz, Rutilated Quartz, Chrysoprase, Ivory, Selenite, Kyanite/Carnelian combination. Emotional Balance – Topaz, Silver, Pyrite, Itolite, Actinolite, emerald, Coral (all colours), Lavender Fluorite, Fuschite, Kunzite, Rhodochrosite, Smithsonite, Sugilite, Zoisite. 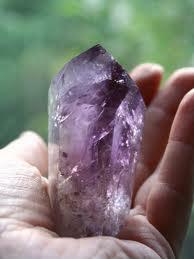 Endocrine System – Tourmaline (all colours) Amethyst, Amber, Rainbow Amethyst, Ametrine. Immune System – Zoisite, Rutilated Quartz, Tiger Iron, Ametrine, Sodalite, Jade, Boji Stone, Rhodonite, Amethyst, Actonolite, Emerald, Pink/green tourmaline, Rainbow Amethyst..
Liver – Topaz, Tiger Iron, Peridot, Jasper, Citrine, Carnelian, Bloodstone, Charoite, Emerald, Larimar. Miscarriage (to assist with after affects and may also be used after abortion) – Jade, Moonstone (all colours), Apache Tear. Nerves – Obsidian, Tiger Iron, Red/Pink Tourmaline, Chrysoprase, Staurolite, Pink/Green Tourmaline, prehnite, Sodalite, Blue Kyanite, Green Flourite, Zoisite. Pancreas – Tiger Eye, Smoky Quartz, Rhodonite, Carnelian, Larimar, Alexandrite, Moonstone, Caclite Malachite. 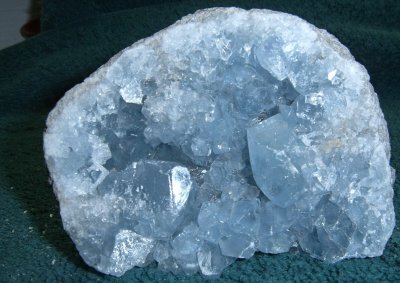 Psychic Abilities – Rainbow Amethyst, Ametrine, Auralite, Elestial Crystals, Blue Tourmaline, Topaz, Lapis Lazuli, Rutilated Quartz, Herkimer Diamond. Purification (mind)- selenite, Apophyllite (green and clear), Aventuring (green and orange). Spleen – Wulfenite, peridote, Hematite, malachite, Fluorite, Calcite, Topaz, Moonstone, Bloodstone, Aquarmine, Amber, Leopardskin Jasper, Alexandrite, Larimar. Stomach Problems – Sunstone, Obsidian (all colours) , Moonstone (all colours). Stress – Green Fluorite tetra or octahedron, onyx, obsidian (all colours), Malachite, Bloodstone, Sugilite, Lavender Fluorite, Blue Kyanite, Celestite, Selenite, Herkimer Diamond, Howlite, Iolite. Study – Carnelian, Clear Quartz, Calcite (clear, yellow or honey). Thyroid – Blue Tourmaline, Blue Lace Agate, Celestite, Lapis Lazuli, Aquamarine, Chyrsocolla, Larimar. Tissue Regeneration – Rutilated Quartz, Malachite, Topaz, Peridot, Carnelian, Azurite.